To turn yourself into a brand you need to think and market yourself the same way that a household brand would. Most bands find this hard to do but only because they don’t lay down the necessary foundations and that all starts with a ‘mission statement’. 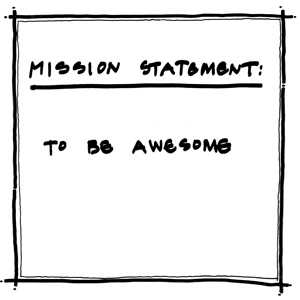 A mission statement is your “raison d’être”, a blueprint which sets out your reason for existence. If you are a rock band, is your mission to rock harder than any band has rocked before? Are you soul singer who wants to touch the hearts of people with your thought provoking lyrics? Are you a party band whose job it is to hype the crowd up to make sure they have the most entertaining night of their lives? As you craft your statement around this ‘purpose’, make sure you think your end user, your fans. When people listen to your music ask yourself what they will get out of your music. How do you want them to feel? Happy? Sad? Energised? Reflective? Hyped? All and I mean ALL your marketing needs to be aligned to this mission statement. Your graphic design, your photographs, but most important of all the tone and content of your social media channels. Everything you post or share on your social media channels needs to reinforce and call back to this blueprint. Making sure all your communications are ‘on message’ will help people know who you really are and what you stand for. Further reading: How Black Sabbath claimed the Number 1 spot with a mission statement.